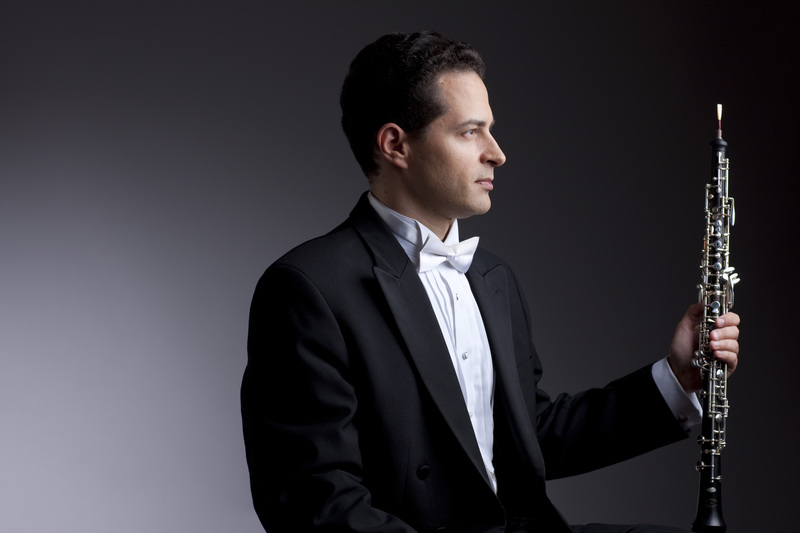 The San Francisco Symphony issued a press release today announcing that Eugene Izotov will be their new Principal Oboe beginning with the 2015/16 season. 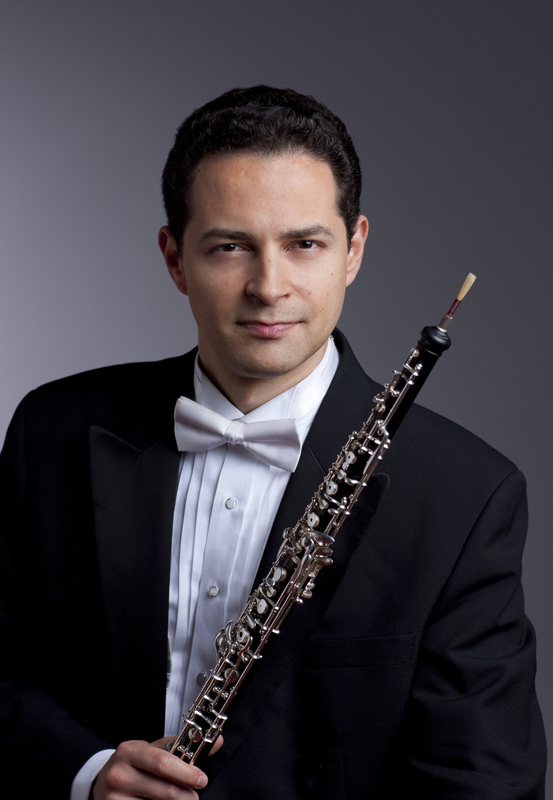 Mr. Izotov is currently Principal Oboe of the Chicago Symphony, and was the SFS Associate Principal Oboe from 1996-2003 (during which time he went by “Evgeny Izotov”). He was also Principal Oboe of the Metropolitan Opera Orchestra from 2003-2006. The SFS announcement made no mention of whether he would officially resign his chair with the CSO or if he were planning on taking a year’s leave; however, according to the Chicago Classical Review, “CSO public relations director Rachelle Roe characterized Izotov’s departure as a ‘leave of absence’,” and the Chicago Tribune also described his departure as a leave (albeit without giving a source). Mr. Izotov was offered the position in October. As Lisa Hirsch described, he has been one of many players who has served as guest principal with the orchestra since the tragic death of William Bennett, the 26-year veteran Principal Oboe of the SFS who suffered a cerebral hemorrhage on stage in the middle of performing the Strauss Oboe Concerto in 2013 and passed away less than a week later. First of all, congratulations to the SFS and its fans. Mr. Izotov is truly a world-class player. If I were a betting man (and I am), I’d put good money that Mr. Izotov won’t be returning to the CSO after his one year of leave is completed. He still needs to be offered tenure by the orchestra, after which he still would need to accept it. That said, he and the SFS already know each other fairly well, having spent seven seasons together, and therefore the oboist will experience few surprises working with Mr. Tilson Thomas and living in the Bay Area. Besides, Mr. Izotov’s official statement above already talks about his time with the CSO in the past tense; there aren’t even any token nods to going on leave or needing to gain tenure, as are often included in similar statements made by other prominent musicians making such moves. This is the fourth time in the past few years that one of the Chicago Symphony principal woodwinds has said that they’re leaving the orchestra, temporarily or otherwise — it’s the fifth time if you count both of Principal Flute Mathieu Dufour’s announcements, once for the LA Phil in 2009 and another for the Berlin Philharmonic a few months ago. For those who may have forgotten: Steve Williamson (Principal Clarinet) left for the New York Philharmonic in 2013 only to return after a year; David McGill (Principal Bassoon) surprised many in June of this year by retiring early from the orchestra to take a full-time teaching position at Northwestern University. Having all of these principals say they want to look elsewhere begs the question: what is going on with the Chicago Symphony woodwind section or the CSO overall? One departure is random, two may be a coincidence, but when four principals, all in their prime, decide to leave an orchestra of this stature in such quick succession, you’ve gotta ask yourself, “WTF?! !” I’m sure many classical music fans in Chicago are doing just that. In Mr. Von Rhein’s article about the announcement, he took great pains to point out that Mr. Izotov would be going on a one-year leave and attempting to reassure the local populace that, “It’s not uncommon in the symphonic world for players to occupy first-chair positions with two orchestras at the same time, trying on one post to see if it is a good fit without surrendering the other.” Of course, what he doesn’t say is that more often than not, those leaves end up becoming permanent. Mr.Patner is even more notorious in this regard. He famously shared personal conversations with Mr.Dufour after the flutist resigned from the LA Phil to return to Chicago, leading Mr.Dufour to issue his own statement distancing himself from those comments. That move seems to have backfired on him in a big way; even when he tries to pump up the CSO and its players, they distance themselves from him. In the same Aug 26 article, Mr. Patner mentions that while Mr. Izotov had been playing some concerts with the SFS, “he said he is ‘not going anywhere’ now.” Turns out the oboist gave him a true quote — he waited until today to announce he was going anywhere. Finally, in writing about today’s announcement, Mr. Patner was not content to simply use Mr. Izotov’s official statement, choosing instead to post a screenshot from the oboist’s Facebook page of what appears to be a private message he only shared with his friends (if you go to his Facebook page HERE, no such message is publicly visible). Draw your own conclusions about the appropriateness and ethics of Mr. Patner doing this. There are still nine months before Mr. Izotov officially joins the San Francisco Symphony, and almost two years before he is obligated to resign from the CSO if he chooses to remain in the Bay Area. That leaves a lot of time for San Franciscans to wait and Chicagoans to fret. It should be interesting to watch. Tags: Chicago Symphony, Eugene Izotov, San Francisco Symphony. Bookmark the permalink. Yeah, that’s a lot of churn for an orchestra that reportedly has great relations with its music director, especially Dufour’s comings and goings. One wonders whether there are problems and where they are. There’ve been some changes in the SFS winds since Izotov left. Principal flute Tim Day, next to whom he will be sitting, joined the orchestra around 2005 or 6 after Paul Renzi retired, and Carey Bell, principal clarinet, joined a couple of years after that. Regardless of how Patner got his hands on that screen shot, what Izotov says, except for the introductory remarks about spin, is identical to what’s in the SFS press release. Good point about the new woodwind principals who’ve joined since Mr. Izotov was last there. As with any professional situation, the people with whom who work closest have a strong influence on your job satisfaction. Hopefully, everyone will be able to get along. Regarding Patner and the Facebook screenshot: specifically because the bulk of the quote is identical to the SFS press release, I found it completely gratuitous. What motivation does he have to include it other than to show that he has access to a non-public statement? He could’ve just reprinted the quote, but he never actually does that in the text of his article. Is it possible that Patner is FB friends with Izotov? Indeed, about the people you work with. I don’t know much about the relationships in the SFS winds, although when Bennett died, the commentary on him made him sound like the kind of person who is widely loved and becomes a unifying force. Bennett’s passing in a year when associate principal Jonathan Fischer was on leave in Houston means that a lot of people have played in the oboe section in the last 18 months, too. You will have seen my prediction about Fischer. It’s certainly possible, perhaps even likely, that Patner and Izotov are FB friends. It’s either that, or a different FB of Izotov sent Patner the screenshot. He doesn’t specify, so we’re left to guess as to how he got the pic and why he used it. You’re probably right about Fischer. When did he actually begin his tenure in Houston? I’m kind of surprised he still is listed on the rosters of both orchestras — seems like it’s been more than a year. Patner has so many FB friends that when he sent me a friend request, FB couldn’t make the connection. He is over some limit they have. Re Fischer, his trial year in Houston was 2012-13, during which Bennett died. During 13-14, he was on leave from Houston, playing acting principal in SFS for much of the season. This year (14-15), he is one of several oboists playing as guest principal. I assume that these unusual arrangements were agreed to because of Bennett’s death, a rare situation. He now knows that he is not getting the principal job, although if Izotov does not stay in SF, there will be more auditions during 16-17.